Being sick and unwell can cost any sized business devastating losses. Employers face reduced profit, productivity and performance as a result. In New Zealand, the estimated working hours lost in 2004-2005 equal $4.127 billion to $11.563 billion and 2.7% to 7.6% of the Gross Domestic Product (GDP) (Holt, H. 2010). Employers cannot afford to ignore this alarming trend. 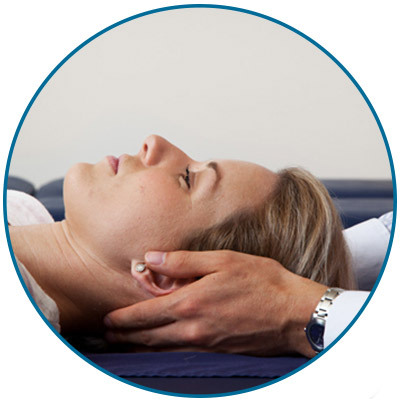 Our chiropractor, Dr Keenan can help you boost your potential for optimal wellbeing, naturally. Our bodies are finely tuned instruments, coordinated by the nervous system. Gentle chiropractic care can assist in restoring this balance. It may improve low back pain (Garner, et al. 2007), headaches and migraines (Tuchin, et al. 2000), neck and back pain (McMorland & Suter, 2000), OOS, asthma (Alcantara, et al. 2012), carpal tunnel syndrome (Davis, et al. 1998), allergies and much more. Many clients report improvements in their overall wellbeing: that they are more relaxed (Williams, et al. 2007), have better concentration, are more energised and enjoy increased immunity (Brennan 1992), vitality and performance. How Can We Develop Healthier, More Productive Workplaces? The Chiropractice has provided screenings and seminars for places such as Withers and Tsang accountants, health and sports gyms and many other companies and groups. We’ll help you show concern for the health and welfare of your employees, likely see a reduction in sick days and help you in building a thriving, healthy and productive community. A healthy lunch for the attendees is included and usually followed by our spinal screening. Our chiropractor visits your workplace, observing to gather data on employees’ work environment, habits and responsibilities. From this data, we can establish any areas of physical or emotional stress. Feedback will be given to management and employees, including recommendations for improvements and upgrades. Contact us today to discuss visiting your group, organisation or business!